When I first started writing my book Bird Therapy, my early research threw up a recurring term which I had not heard before: ecotherapy. Further reading informed me that Mind, the leading UK mental health charity, had coined the term, defining it as ‘the name given to a wide range of programmes that aim to promote mental and physical wellbeing through outdoor activity in a green environment’. This seemed to match my own ideas and I downloaded an introductory document to find out more. In the opening paragraph, I noticed a mention of the ‘five ways to wellbeing’. I had encountered this framework when I first started exploring my own mental health, so it was vaguely familiar to me. However, I wasn’t expecting it to correlate so well with my new-found hobby of birding. The five ways to wellbeing is an idea that was developed by the New Economics Foundation (NEF) and is endorsed by Mind (Mind 2013). It was born out of a government Foresight project that investigated the future wellbeing of the British population. The findings were obviously quite technical and NEF was asked to summarise them for a wider audience, resulting in the creation of the five ways. These outline five things that people can bring into their lives to help improve their wellbeing. They are: to connect, to take notice, to give, to learn and to be active. I challenge any birder not to look at these five areas and immediately see how they overlay and intertwine with our wonderful pastime. The more I thought about all these crossovers and correlations, the more I realised that this model could be the foundation of Bird Therapy as a writing project. Each could provide a basic framework to write around, and ultimately each sprouted its own shoots of growth into new topics. For the purposes of my writing I coined my own moniker, calling them the ‘five ways to well-birding’. Birding provides us with the perfect platform for making connections, and when I was starting out, one of the first things I did was try to connect with others. I found a local birding group and duly joined, which helped me to build my knowledge and experiences by meeting like-minded people. I also used an online forum to tentatively post in the hope of connecting with more people, which thankfully I did. The internet, and specifically forums and social media, are great ways of interacting with other birders – especially at a local level. It also seems to be where a lot of people tend to post their sightings right now. From my own experiences, it appears that Twitter is the most popular platform for birders and naturalists. I recommend talking to anyone that you see while out birding – you never know, they could end up becoming a friend, or you may just spark their own interest in the local avifauna. Birding with others or on your own is a personal preference; I prefer a mixture of both to maximise my birding experiences. It can be nice to share knowledge and sightings with others – and remember, the more eyes and ears there are, then the more birds you may observe! Finding a local patch can be the perfect way to connect with birds and with nature in general. Researching and exploring nearby sites is a great way to get to know your local area, as well as learn about habitats and wildlife corridors. I have found that the consistency and security of visiting a regular patch has helped me to connect with myself. My patch has been my go-to location at times of stress; it anchors me to the present and provides me with the ultimate escape route. Sharing experiences in birding is one of the great delights of our hobby (RSPB). I recommend spending some time getting to know the birds in your garden or any nearby outdoor space. I like to call this my ‘bird community’. Notice how the birds behave and interact, and you will learn more about their lives. Pay attention to how being outside and engaging with wildlife makes you feel, harnessing any positive experiences and trying to recognise what makes them so. I personally find sparse, open places where I must really concentrate on birds to observe them incredibly uplifting. Take time to consider the intricacies of a bird’s feather patterns and markings. Some of the most beautifully underrated species are around us daily, with Dunnock being a personal favourite of mine – the species is subtly stunning when viewed up close. Even though we call it ‘birdwatching’, embrace it as a multi-sensory experience. Observe not just the sights and the sounds of birds, but also think about the way that you feel. There are also external sensations to consider like cold, fresh air against your face; add to this, for example, the smell of the earth after a brief April shower and the multi-sensory experience is complete. Well, you could throw in a slice of cake available from most visitor centres to add some taste, too! Feeding birds in your garden gives great opportunities to study common species up close (Andy Hay/RSPB images). Without a doubt, the best way of giving something back is to provide food and water for your bird community. 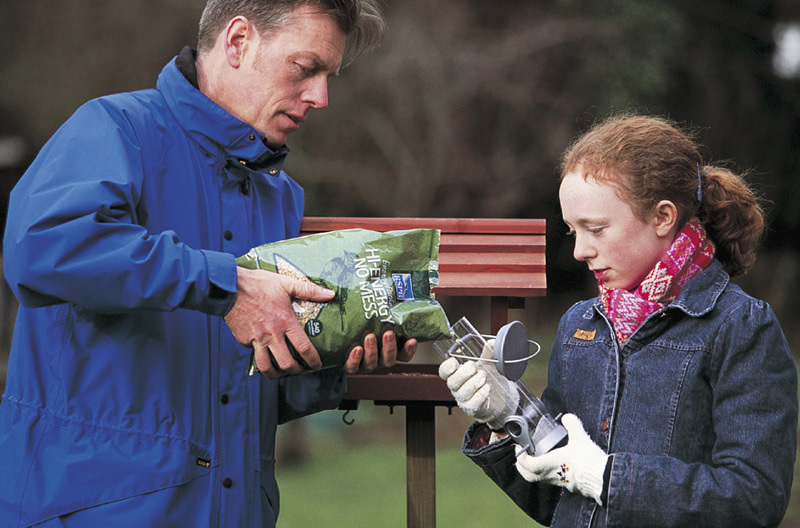 The RSPB, Wildlife Trusts and British Trust for Ornithology (BTO) all provide guidance on how to get the most out of feeding your garden birds. Sharing your wisdom can be inspirational, especially when the younger generation are involved. Allowing someone to look through your scope or binoculars at a distant bird is like opening up a new world. Equally, keeping and submitting your records is a fantastic way to give something back to birding. They can help to map local and national bird data trends, as well as potentially encourage others to monitor and visit different areas. Taking part in ‘citizen science’ is not only a way of giving something back to birding; it is also vitally important for monitoring data trends. The RSPB and BTO facilitate national garden bird surveys which are a superb initial step into citizen science schemes. One of my first truly uplifting birding experiences was spent in a suburban Norwich garden in the esteemed company of a Dunnock while conducting one such garden survey scheme. The BTO also delivers a range of nationwide surveys via volunteers, and these can be a wonderful way of dedicating yourself to the monitoring of a specific location and learning about it. 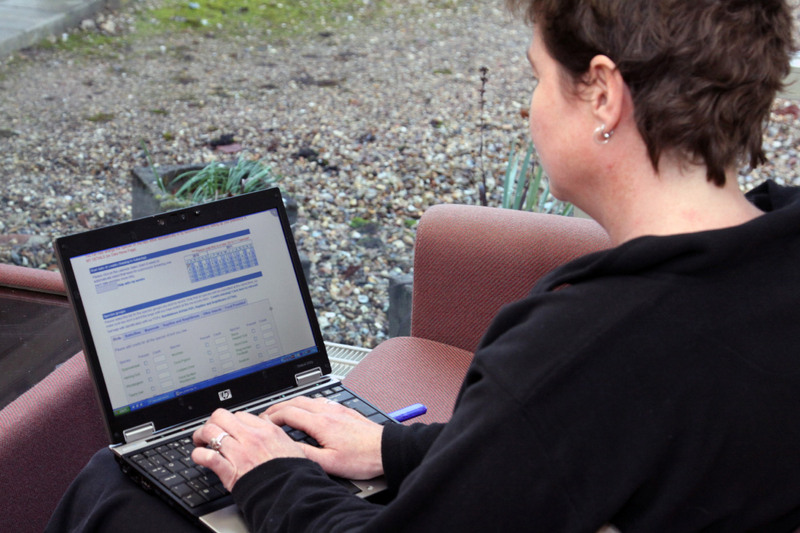 Submitting your data to projects such as the BTO's BirdTrack is a fine way of giving something back to the birding community (BTO). Birding is the ultimate learning experience, and as a teacher I’ve reflected on the different learning theories that correlate with it. The standout concept that relates to birding is the experiential learning cycle. This idea states that we have an experience, we reflect on it, we make our own concepts and we experience it again, applying our own newly developed ideas. Consider a birding experience such as seeing a new species. At the time, you take note of the bird’s features as well as the wider situation. Afterwards you reflect on that experience and store it so that if you encounter that species again you can identify it. 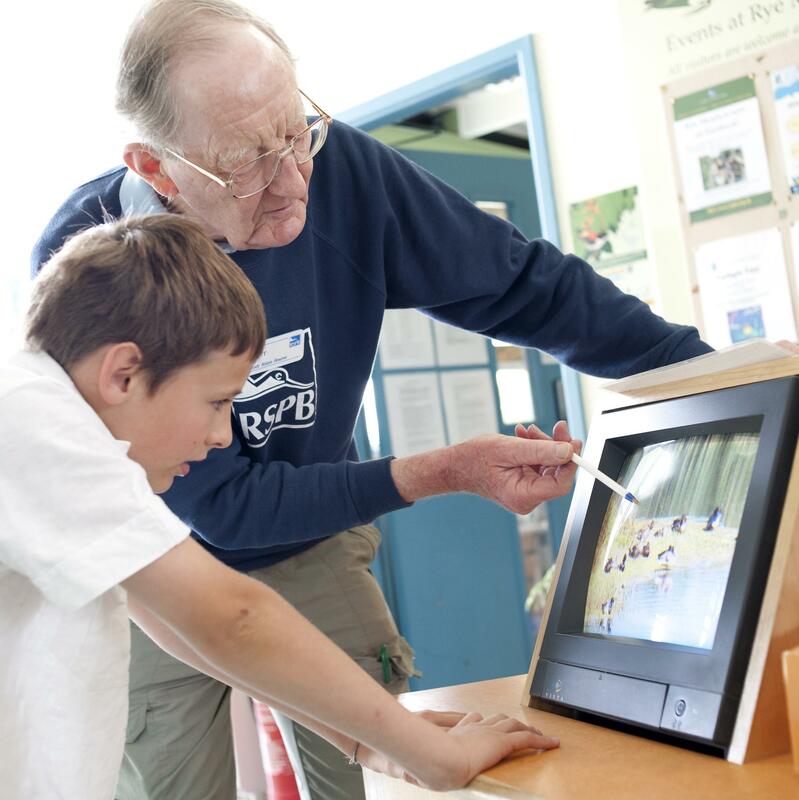 As a multi-sensory experience, birding provides multiple platforms for learning. You can learn birds visually and audibly. This can be supplemented with reading and research and then practised experientially in the field. It’s not just birds that provide a great learning curve. So too do all the other associated influences, such as the weather, habitats and migration. There is a wealth of literature and data that can be explored to supplement the wider birding experience. The humble Dunnock is one of Joe's favourite birds to study (Neil Loverock). Government guidelines recommend that we should partake in 150 minutes of moderate activity per week in bouts of 10 minutes or more, where our breathing is harder and heartbeat faster than resting rate but we’re still able to maintain a conversation (Walking for Health 2013). Of course, there are long periods of time during birding when one is inactive, such as when seated in a hide. However, there are also many times during which we are active: trudging around our local patch or working through a dune system in search of drift migrants, for example. The same report recommends that people stay active to keep their minds sharp. Birding and the points mentioned through this article intertwine to provide meaningful, multi-sensory stimulation, helping to keep the mind active and sharp. This has been linked with delaying some symptoms of dementia by the Alzheimer’s Society. Water is a key habitat for birds – much birding takes place at locations featuring water in some way. A 2009 study into exercising in nature found greater improvements in self-esteem and mood when activity took place next to or near water (Barton and Pretty 2010). It is evident that there is much more to birding than the simple act of watching birds, and as with most hobbies, when engaged with in the right ways it can be hugely therapeutic. The five ways to wellbeing are a lauded approach to promoting and enhancing positive mental health. When overlaid with birding there are clear and obvious correlations. In my upcoming book Bird Therapy, the five ways to well-birding are explored in much more depth.